Something to look forward to: Rockstar’s update for the Red Dead Online Beta is on the way and looks to address griefing along with adding new content and squashing some bugs. From day one, Red Dead Redemption 2's online mode has had a problem with players whose sole goal is to ruin the experience for others. It's not unusual in online games, but Rockstar is working to address it sensibly without ruining the prospect of actually playing as an outlaw. One thing Red Dead Online developers are doing to make it harder for destructive players to target people is changing the viewable distance on the minimap. The previous map could pretty much let you know where someone was no matter how far away they were. Rockstar notes that with the new update, blips will not show on the map unless they are with 150 meters of your location. This change should make it harder for griefers to target specific individuals regardless of their location. Rockstar is also adding an algorithm that will detect overly aggressive players and highlight them making them easier to find by those wishing to do some bounty hunting. Players’ dots on the minimap start blue. As they continue murdering other players (or NPCs, but players have a higher bounty), the blip will become progressively red, and their position (and their posse’s position) will become more and more visible on the map. This system only works outside of the structured multiplayer events. Also, if the bad behavior is stopped the player will gradually revert to blue status and become less visible. It remains to be seen if this will curb the bad behavior that runs rampant in the online shooter, but at least Rockstar is listening to the community and attempting to balance it out more. Granted, there will always be those that want to cause trouble, and in this game, in particular, there is some justification for it. Some see it as a play-style choice, but it’s nice to see the developers are working to add real consequences to that decision. The latest patch will also add Daily Challenges. 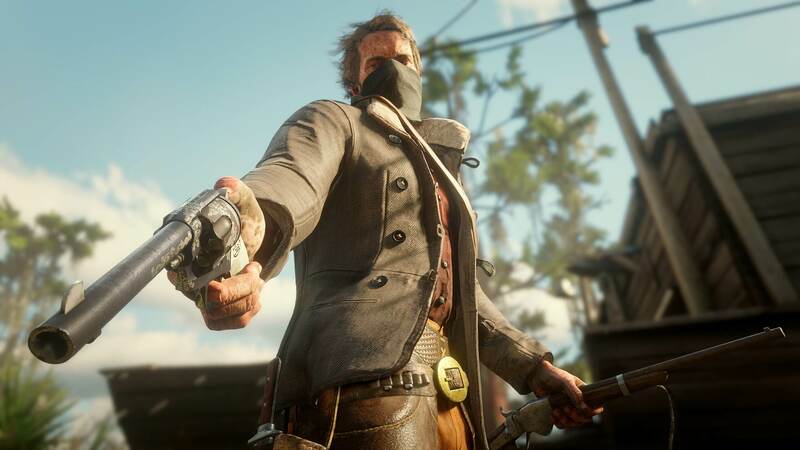 These tasks will cover a wide variety of gameplay elements including Foraging for herbs, selling stolen items to a fence, hunting and skinning varmints, clearing outlaw hideouts, and "much more." Each completed challenge will add experience points and a few Gold Nuggets (in-game currency). The patch also addresses some bugs and makes a few other balancing tweaks. You can read the announcement for more details. Rockstar also says it will have more information when the patch launches on February 26.